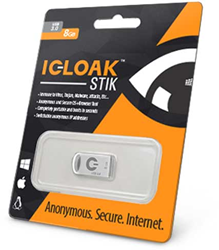 ICLOAK®, the experts in personal cyber security and privacy, today announced the availability of its first product, the ICLOAK Stik, a simple and effective tool that instantly secures a computer and gives privacy back to consumers. The simple device can be found at ICLOAK.me, and makes it easy to stop social networks, large advertisers, the government, and data aggregators, including Google and Facebook from tracking your computer activity and hackers from stealing information. More than 4,000 people purchased the product while in beta, and now it comes to market with new updates and features that give everyday computer users a better way to take control over their information. The ICLOAK Stik is the first product to launch from the company, and is immediately available at ICLOAK.me, starting at $99. The Stik is designed for simplicity so even those with basic computer knowledge can enjoy one-click state of the art security to keep their computers safe from hackers and the more than 317 million pieces of Malware created every year. 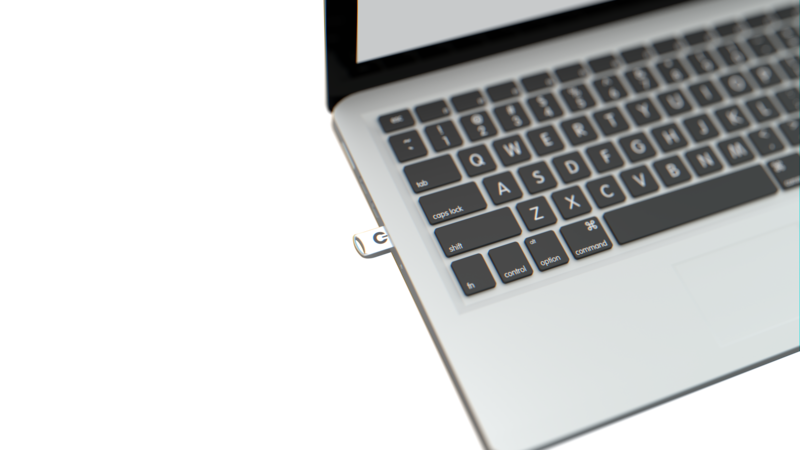 While a computer is turned off, customers simply plug the ICLOAK Stik into their USB port and then turn on their computer. Once this is done, the customer’s behavior, including the creation of documents, email communication, and all online activity, including online shopping, can no longer be followed by online government tracking or the hundreds of thousands of trackers and hackers that collect, use, and sell information about consumers' online activity. The tool works seamlessly with any Mac and PC computer. This is possible because the ICLOAK Stik anonymizes digital behavior without requiring any personal information. Customers don’t need to create an account or share any details about themselves to use an ICLOAK Stik. Despite the knowledge that the NSA and hundreds of Internet companies spy on citizens behaviors, everyday computer users don’t have the tools needed to protect themselves. The popular Incognito browser mode does little to stop modern tracking technologies. The reality is that anytime you use your computer, you are leaving tracks of where you’ve been, what you’ve done, and whom you’ve done it with. A recent study from GFK, a leading research firm, shows that consumer concern for digital privacy continues to rise, with 60% of American internet users reporting more concern about online privacy this year than last year. After nearly three years of development and following a successful Kickstarter campaign, ICLOAK spent over 18 months building and perfecting the ICLOAK Stik technology ahead of the public launch. ICLOAK is the brainchild of technology expert Eric B. Delisle. After watching Edward Snowden reveal the extent of the NSA’s spying activities, Eric observed that although citizens were deeply angered, there was little the average computer user could do to protect their privacy. After a highly successful Kickstarter campaign, the beta ICLOAK Stik came to market, rapidly selling more than 4,000 units. Today, after three years of engineering, the ICLOAK Stik is fully available as the company’s debut product and is a giant leap forward for people looking to take action against spying, tracking, and hacking that happens to all of us online. Learn more at http://www.ICLOAK.me.